There’s so much content packed into the short story of Jonah. There’s a broken hero, danger at sea, the mysterious big fish, the impossibility of Jonah’s salvation, and the unexpected outcome of his mission. It’s definitely much more than a children’s story. It’s about the power of God’s word, his big heart for the lost people of the world, and our role in relating that love to people we may consider as enemies. Even Jesus had something to say about Jonah. I don’t remember what pastor preached this outline on the book of Jonah, but I’ve always found it makes the story easy to remember. Running away from God. Jonah rejects God’s call to go and preach to Nineveh. He tries to go as far away as possible, thinking foolishly that he can outrun the LORD. Instead, a storm threatens to sink his ship until the sailors realize who is responsible and throw him overboard. Running to God. Imprisoned in the belly of a big fish, Jonah repents of his disobedience and returns to God. Then the fish regurgitates Jonah on the shore. Running with God. In the most successful evangelism campaign ever, the entire city of Nineveh turns to the LORD in response to Jonah’s simple message of coming judgment. Running ahead of God. Jonah wallows in anger over God’s forgiveness of Nineveh, revealing the reason for the prophet’s reluctance to preach there. God shows his compassion for people in contrast to Jonah’s selfishness. The most amazing thing about Jonah’s story is how effectively he witnessed for God in spite of himself. As the storm threatened to sink his ship, the sailors glorified God when they heard Jonah name his LORD and saw how the storm stopped when Jonah was tossed overboard. Though he hated the Ninevites and only wanted to see them destroyed by God, his eight-word sermon converted the entire city. We should remember the power of just being God’s person anytime we begin to doubt our ability to witness. Jesus didn’t consider Jonah to be a story-book character. He mentioned him as a real-life example foreshadowing his own miraculous resurrection. I’ve always thought of Jonah’s burial in the fish as just being symbolic of Jesus’ burial in the grave for three days, but here’s another way to think about it. Jonah was a sign to the people of Nineveh (perhaps because of how he looked after three days in the fish’s stomach). Jesus’ three days in the grave is a sign to us – of how much God loves us. He loves us so much that he was willing to condemn his own son to die for us. 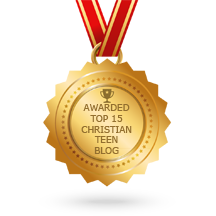 This entry was posted in A CLICK A BLESSING TODAY, BIBLE DAILY DEVOTIONAL, CHRISTIAN LIFE AND THE WORD, CHRISTIAN TAGALOG BLOGS, CHRISTIAN TEENS BLOGS and tagged The reluctant missionary: Jonah. Bookmark the permalink.